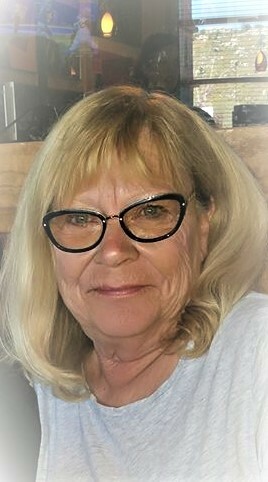 Mary Anne Greer age 68 of Franktown, Colorado walked through the gates of Heaven to be with Jesus on November 15, 2018. She was a loving wife of 42 years and best friend of 47 years to Billy Greer. She was a treasured Momma of Lisa (Kevin) Charles of Chesapeake, Virginia and Kym (Joe) Hairston of Franktown, CO; best Grandma of Tricie, Dakota, Keponi and best nana of Keidynce; best Great Grandma of Addi and Ryder; beloved sister of Tom (Audrey) Gaffney of Southington, Ohio; survived by other relatives and friends and her canine companions Zeke and the late Maddie. A celebration of Mary Anne’s life will be held at 4:00 pm on Tuesday, November 27, 2018 at Parker Evangelical Presbyterian Church, 9030 Miller Road, Parker, Colorado 80138. Mary Anne was born in Canton, OH and moved to Colorado in 1986 where her and her beloved husband settled in and raised their family, worked in their insurance business and enjoyed the beauty of Colorado, friends and family. Together with her husband they grew deep roots with family, friends, business associates and their community. Mary Anne loved Jesus and attended bible studies and she prayed often for friends and family providing her support whenneeded. When Mary Anne wasn’t supporting her husband, daughters or grandchildren she loved and cared for her animals including dogs, cats and horses. Mary Anne loved to read and meet with her book club, play tennis, Bunko, was a pro at keeping up with social media and dreamed of her times at the beach when she visited family and extended family. She was an avid supporter and involved with the Republican Party in Douglas County. She saw the good in everyone always. She will be dearly missed. Not only did she give so greatly while she was here with us, but she has continued to give through Rocky Mountain Organ services and through her living memories in all of us.